Today I’m visiting with our good friend, Terry Hershey. If you’re a frequent listener of show then you’re familiar with Terry Hershey, who is a regular guest on the show. 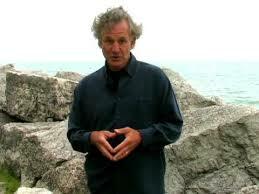 Terry is a prolific writer, conference keynote speaker, renowned landscape architect, and spiritual advisor. Today, I plan to chat thoughtfully about “The Meaning of Life.” So many people struggle with it as have I for the last few years. But I’ve come to the conclusion it’s not all that complicated. That’s what I want to talk about today. With that quote we begin. We end with only 2 things you need to do to find meaning in your life.